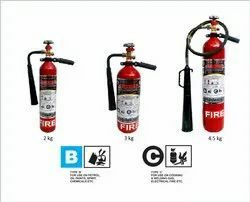 Pioneers in the industry, we offer abc fire extinguisher, co2 fire extinguisher, fire extinguishers and fire extinguisher from India. 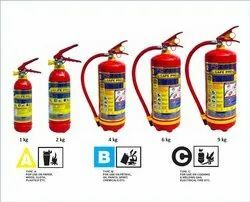 As a quality is driven enterprise, we are providing to our clients an assortment of Fire Extinguisher. 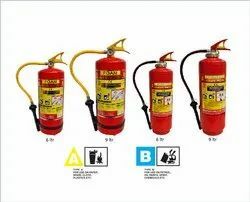 Available with us in various capacities; the given product is widely used for taking fire safety measures in different industries, commercial complexes, and houses. These come with 5-year warranty ad are easy to use. Foam has the ability to from an aqueous film which quickly forms over water insoluble hydrocarbon fuel surfaces causing rapid fire extinguishment and vapour suppression for Class B fires. 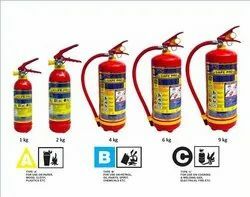 It is useful for flammable liquids such as petrol, diesel, paints, solvents and fats like grease and oils.